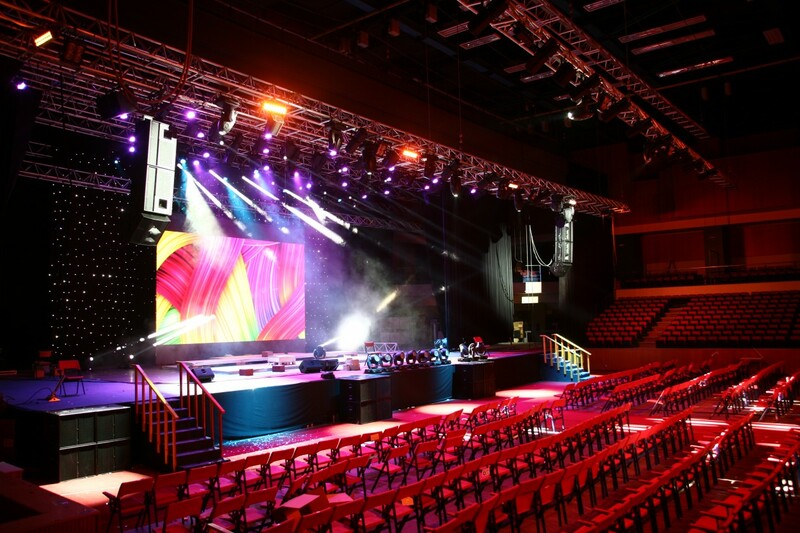 The aging sound system at the Al Ahliyya Amman University Arena in Jordan has been replaced by a new solution from KV2 Audio. 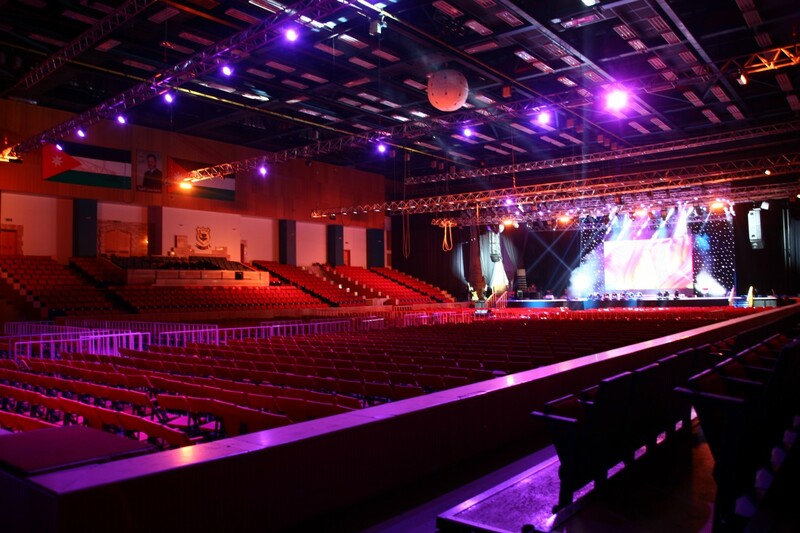 The 5,000-seat Al Ahliyya Amman University Arena is one of very few indoor venues in Jordan’s capital that has been designed to host concerts and events. 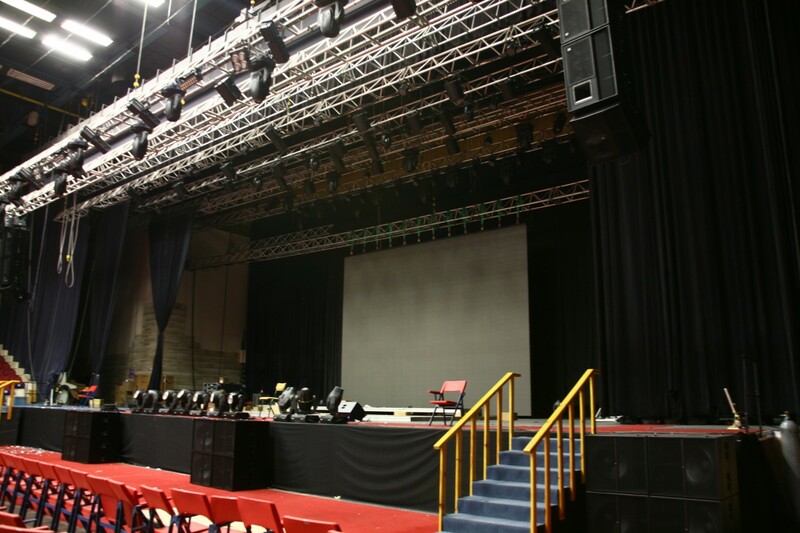 A variety of international acts, such as Sting and Bryan Adams, have played the arena, so when the time came to replace its aging sound system, it stood out as a prestigious reference for any company to win. The existing system had served the venue well since the 1990s, but it was coming to the end of its useful lifespan. 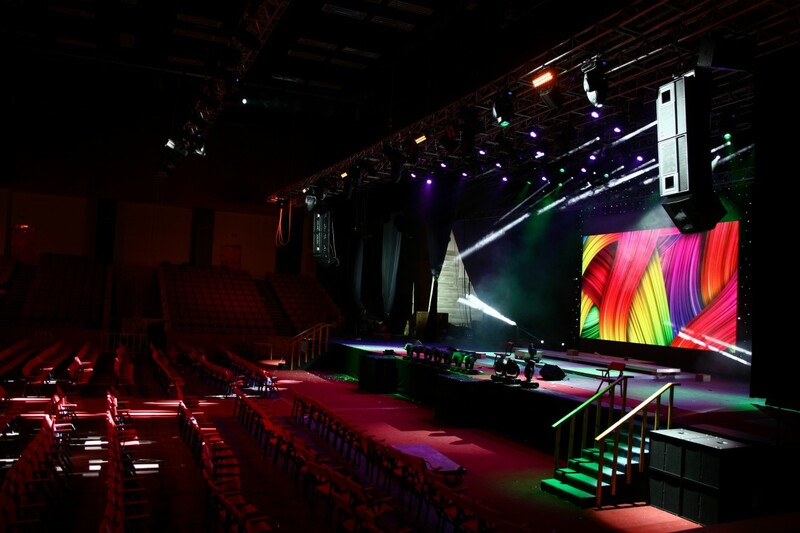 The university made the decision to upgrade the whole audio, visual and lighting solution and started to explore the modern technology that was available. "They were considering which system to put in there this is where we came in," recalls Amjad Marar, general manager of Triad Technical Services. "We approached the university and they wanted to listen to options from all of the major manufacturers. They listened to all of these line array options and then they heard the KV2 point source solution. We sat with the owners and they asked me what we use in our sister production company, called Triad Live Productions, we told them KV2 Audio so then they decided to go with KV2." This is not to say that the selection of KV2 was a straightforward one, as the university did have some reservations. "The only thing they were worried about is that most technical riders do not feature KV2 Audio. The answer I have for that is that they are the only ones who have mastered single point source for large concerts and quite honestly have become widely accepted by artists based on their excellent delivery,’ explains Mr Marar. "These guys are just amazing, George Kampera is a genius. KV2 is the most amazing company I have come across, and I’ve been in the business for a long time." 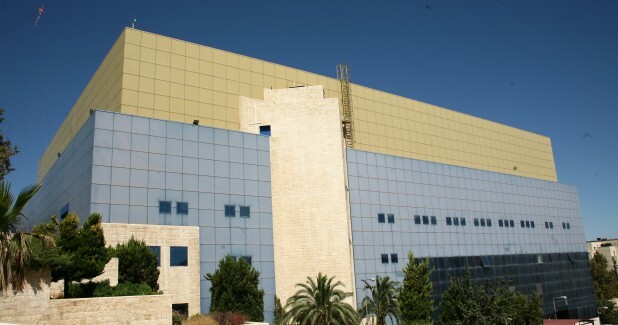 Triad worked in partnership with the engineering team of the arena. The result is based around KV2’s VHD2.0 three-way point source speakers. ‘The VHD2.0 is such an amazing system,’ enthuses Mr Marar. "First of all, it is plug and play. Second, the dynamics are spectacular, I’ve never heard a system like it in my life. ‘We ended up installing a double VHD2.0 system with the VHD1.0 as downfill plus 16 4.18 subwoofers, along with ES1.0 speakers for outfill duties," continues Mr Marar. "Amplification for the system consists of four VHD2000 controller amplifiers for the mains four VHD3200 amplifiers for the subwoofers, and two EPAK2500R controller amplifiers for the outfill speakers. 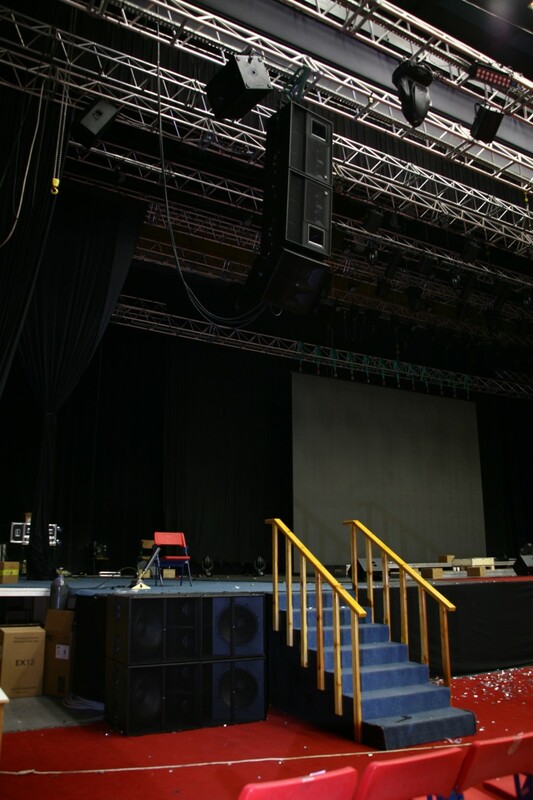 For the stage monitors we used 14 EX12 active monitors, sidefills are a three-way ESR215 system, we used four of them just to cover the sides of the stage powered by a single ESP4000 power amplifier." Controlling the system is a pair of DGiCo SD8 consoles covering FOH and monitors. "Our production company works with DiGiCo mixers, we have a D5 that we are extremely happy with," says the general manager. "The kind of support we get from DiGiCo is truly amazing, it’s another level. So when it came to mixers, it was a no- brainer really, we had to go with DiGiCo. The support and the quality of the products are just amazing." 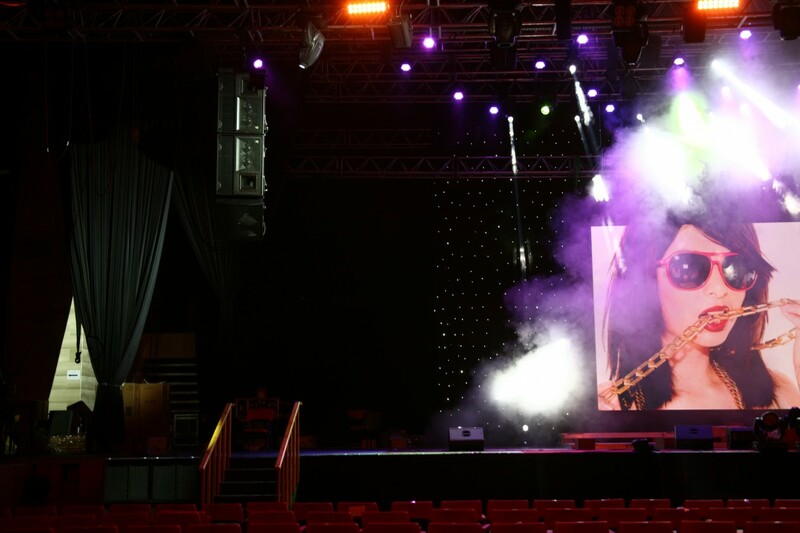 Away from the audio side, Triad also specified a new lighting rig with products from Italian manufacturer DTS. "We have some Raptor moving head beams, XR3000 moving head spots, XR1200 moving head washes, Scena 2000 Fresnels, Profile 1200, Flash 4000 blinders, plus LED washes and pars, controlled by a GrandMA II console," says Mr Marar. 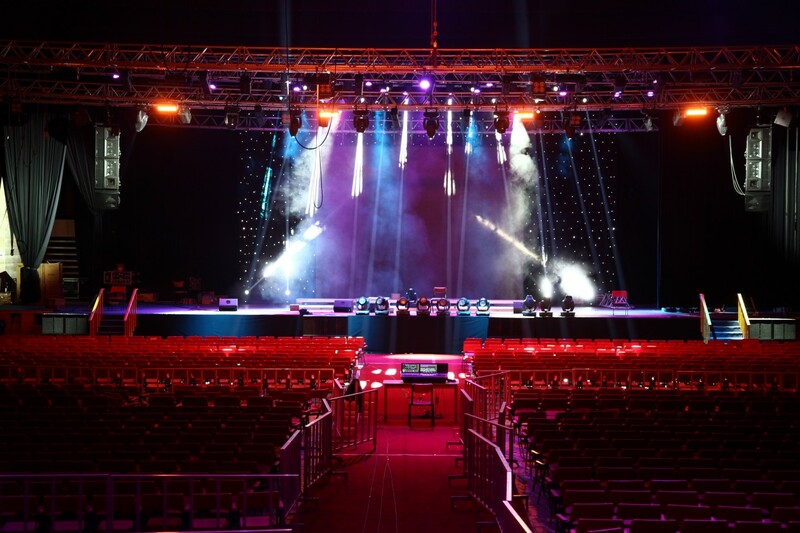 "They also had 40 Martin Professional lights which we have fixed up for them, so they are using those alongside this system. Finally, we installed a large modular LED screen." The installation itself was a relatively smooth process. "Andy Austin-Brown who is the technical projects director of KV2 came to Jordan and he supervised the installation," recalls Mr Marar. "Because this is a point source system, it is so critical to know exactly where to put the speakers. If you move it to either side by even a little bit it is all wrong. It had to be exact. 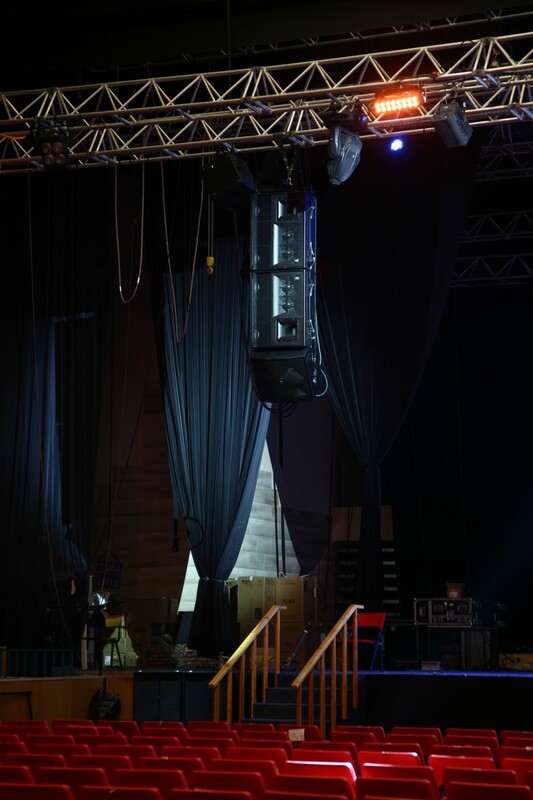 It was flown at 8.93m exactly and two days were spent just to be able to allocate the perfect height and the perfect position so that the sound is seamless for the crowd. To get that just right was a challenge. You can the right direction to deliver sound, but we really wanted something that delivers precision into every seat in the house, and this is the only way to do it." "Andy was there over two days perfect location," recalls the general manager. "He was very happy at the end because the sound we got was tremendous and we are really excited that a lot of international artists are going to be using it." 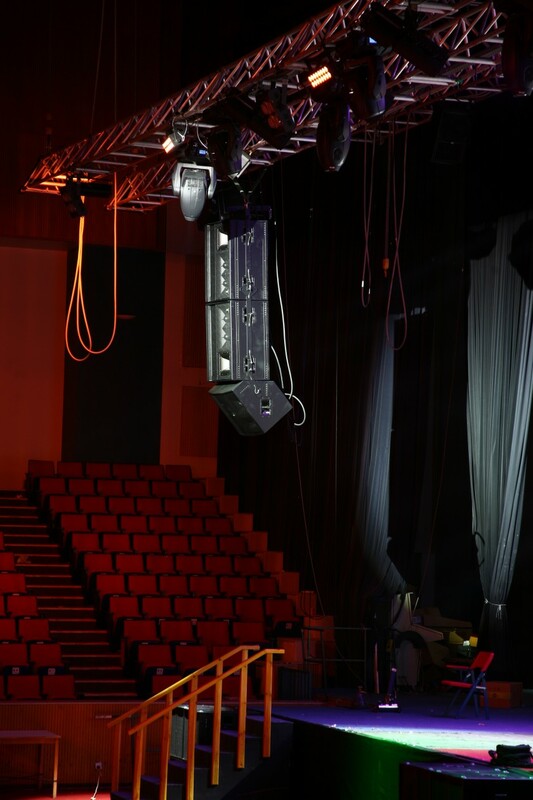 With the amount of precision position involved in finding exactly the right position for the sound system and a large proportion of the overall solution on motorised trusses, Triad is prepared for any potential resets it may need to do. "The KV2 system is set up precisely to the nearest millimetre, so we can’t move it," says Mr Marar. "We have taken a print of exactly where it is supposed to be so if by chance they move the truss we can go back and reset it the way it was." While the project ran smoothly, it took longer than Mr Marar would have liked, primarily down to restrictions placed on the company by the university. "Our team is used to working around the clock because it is the nature of our business. But for this project we had to finish at 3pm every day. We were coming in at 9am and leaving at 3pm. That is why it took longer than it should have. It took us two or three weeks to get everything setup right, but normally it would take much less time." With everything installed and commissioned, the end result is something Mr Marar is very proud of. "The sound is seamless. You can walk from one end of the hall to the other, left, right, back and forwards and you will never be able to say a spot is louder than another," he enthuses. "If you walk through every seat in the house with a dB meter it is the same everywhere. The only thing is there is a bit more bass energy in the front, but that is understandable as there are 16 subs in there." "The results have been amazing," continues Mr Marar. "You can understand that a single VHD2.0 is a very powerful system, imagine double. It is huge. When we were testing the sound system, we were sitting all the way at the back of the hall and these guys were playing at -15dB and still the PA hadn’t even started to work. It’s a very powerful solution, it’s amazing. Not only that, it’s an effortless sounding system. The dynamic range is amazing, the clarity is incredible, it’s an unbelievable result." Mr Marar is not the only person who is pleased with the end result. "The client is extremely happy with it,’ he states. ‘It’s great for our clients as it only takes up a small space. From a distance it only looks like a little dot, but it delivers all this sound.’‘We are delighted to have been chosen among a list of competitors to be part of this wonderful project and we are grateful to Triad which has been doing a tremendous job to make sure all would go smoothly during the process of installation and of course afterwards," adds Alessandro Pagliani, sales director EMEA for KV2 Audio. 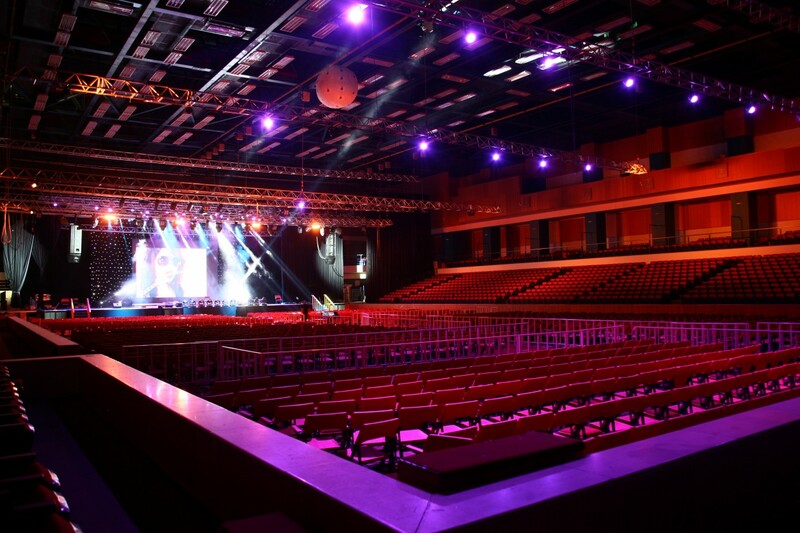 "This is a perfect example of how a point source only smaller venues. 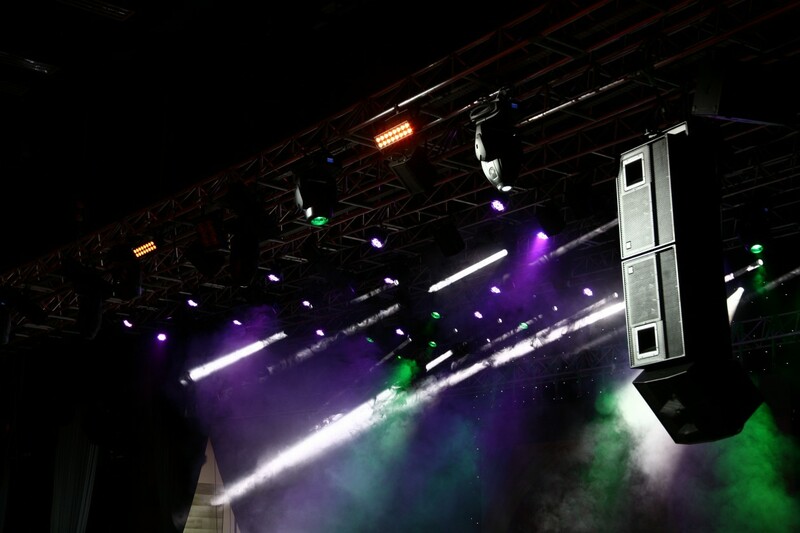 And with the new VHD5.0 system coming, the range of possibilities we can offer for both installation and live sound, will be extended even more." 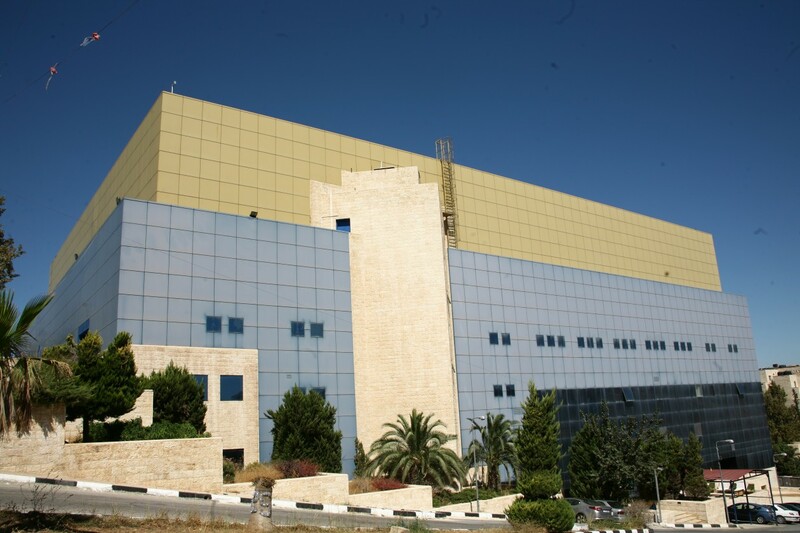 With positive responses to this system and various international acts using KV2 through Triad’s production arm when they come through Jordan, Mr Marar is expecting more people to develop an understanding of the manufacturer’s qualities. "People have to get educated about the possibilities of KV2 and this system. It’s mind-boggling to see a small speaker delivering so much power. It’s unbelievable."